ConceptDraw DIAGRAM diagramming and vector drawing software offers the Circular Arrows Diagrams Solution from the "Diagrams" Area with extensive drawing tools, predesigned samples and circular flow diagram template. Use of ready template is the easiest way of drawing. 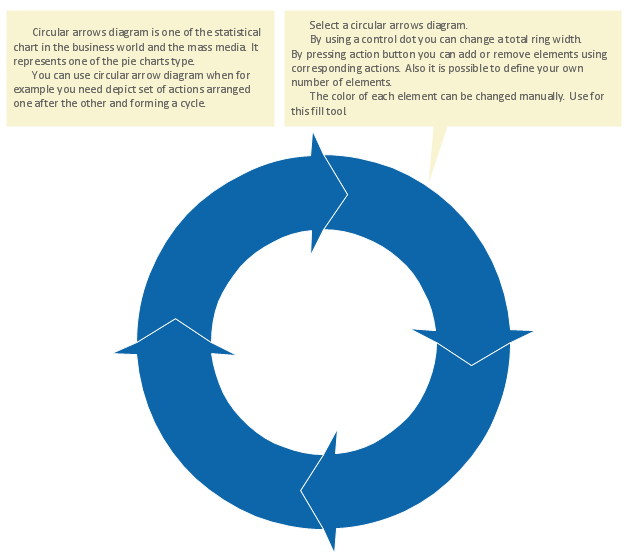 The circular flow diagram template is included in Circular Arrows Diagrams Solution for ConceptDraw Solution Park and is available from ConceptDraw STORE. You need only open it and fill to get the excellent result in a few minutes. This sample was created in ConceptDraw DIAGRAM on the base of circular flow diagram template from the Circular Arrows Diagrams solution. 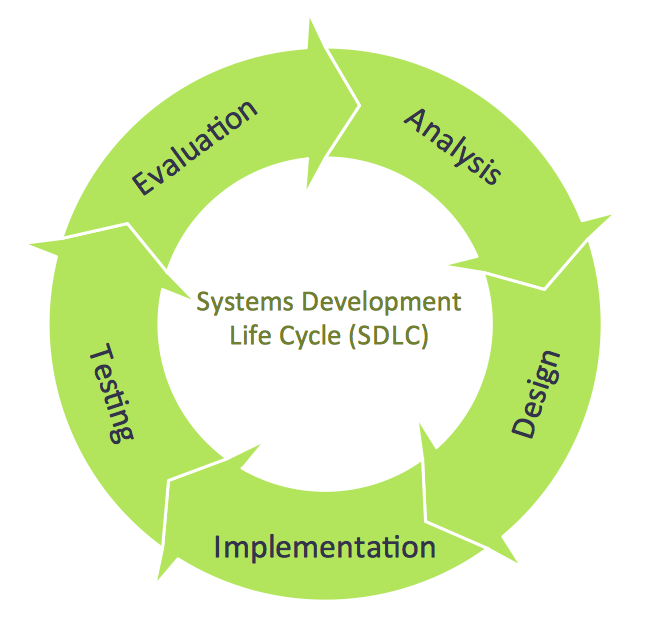 It shows the circular arrows diagram which illustrates the Systems Development Life Cycle (SDLC). An experienced user spent 5 minutes creating this sample. All source documents are vector graphic documents. They are available for reviewing, modifying, or converting to a variety of formats (PDF file, MS PowerPoint, MS Visio, and many other graphic formats) from the ConceptDraw STORE. The Circular Arrows Diagrams Solution is available for all ConceptDraw DIAGRAM or later users. ConceptDraw DIAGRAM v12 diagramming and vector drawing software extended with Target and Circular Diagrams solution from the Marketing area of ConceptDraw Solution Park is perfect for the Circular Flow Diagram creating.